As a foodie, I'll travel quite a way for a good meal. But this time I didn't have to. 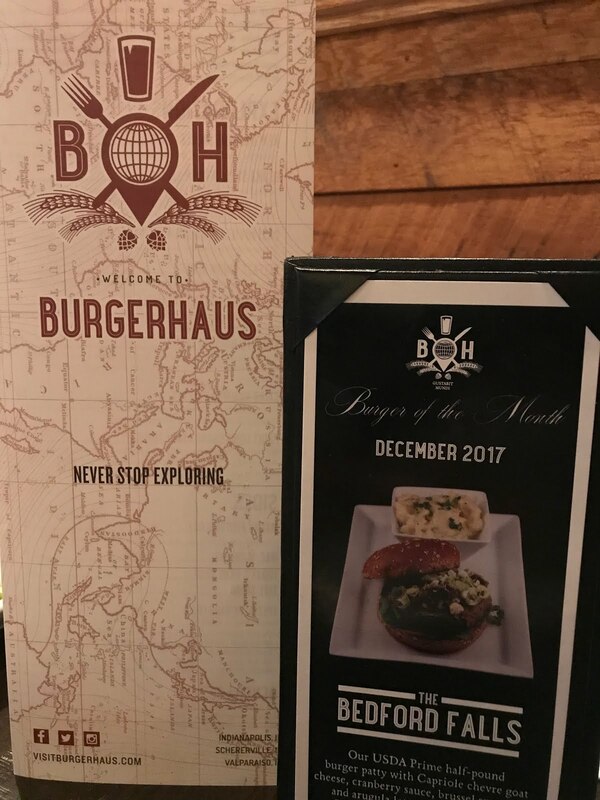 I was happy to get invited to dine at Burgerhaus in Schererville, Indiana. Since I live in the south suburbs, it wasn't much of a trek for me to get there. However, I did end up going on a very slick and snowy day during rush hour, so it took a little longer than anticipated. Once I got there, I was ready to settle into a cozy booth and get to tasting. I had been there only once. I was with my dad and we were rushing to another destination and split a portobello burger. It was excellent and I wished I'd had more time there and more of an appetite. This time I came prepared. 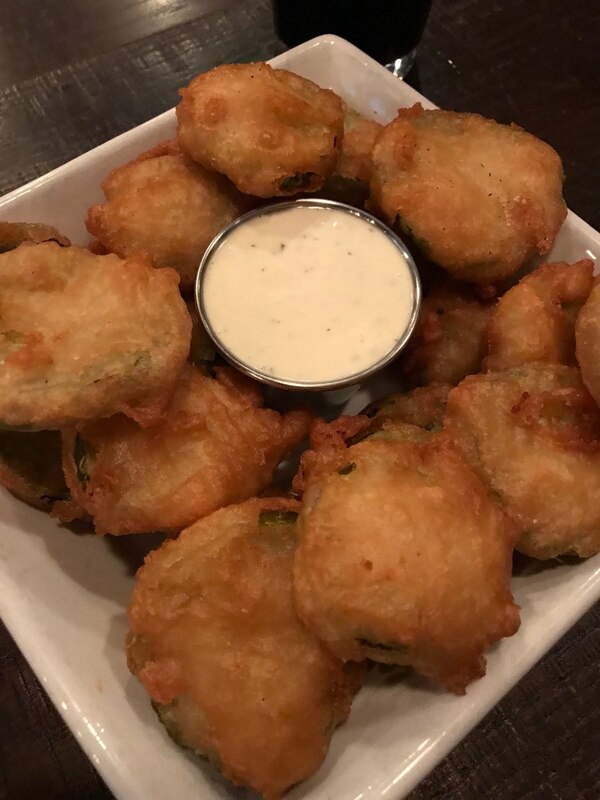 We started out with the tempura-fried New Orleans Pickle Chips served with zesty peppercorn ranch dipping sauce. 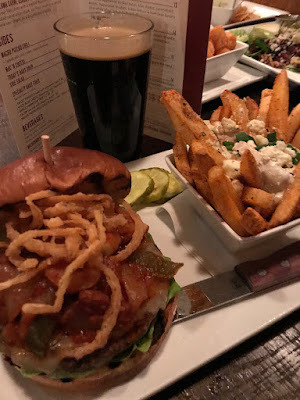 I loved these bites with just enough crunch not he outside and perfect pickles on the inside and I'm sure you will, too, especially if you pair it with one of their craft beers. 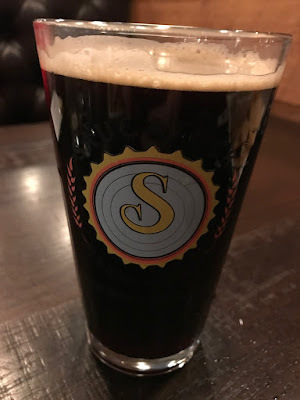 I'd recommend "The Dude" Porter from Crown Brewing. They've got an impressive list and I was told that craft cocktails featuring spirits from Journeyman Distillery in Three Oaks, Michigan would soon be added. Next was an order of the La Pueblo Chips and Guacamole - both made in-house. And following that was a scrumptious salad called the Valparaiso. The Valparaiso was salad perfection - with everything I love. Mixed Greens. Bartlett Pears. Fennel. Candied Walnuts. Dried cranberries. Bleu Cheese. And the most delicious homemade champagne vinaigrette. I wish I could buy it by the bottle. We tried two burgers. 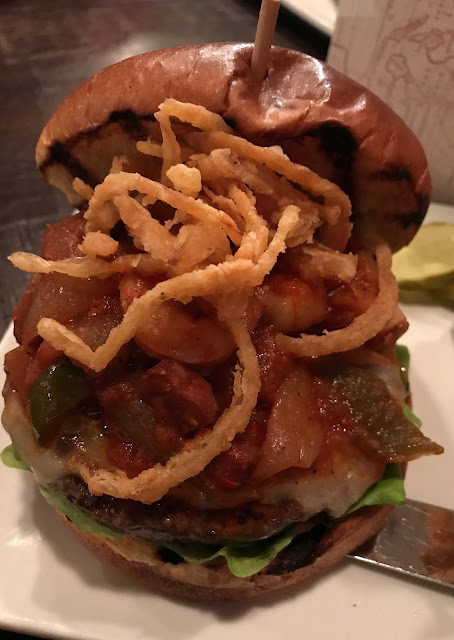 One was the Baton Rouge and it had ingredients that could not be more unexpected on a burger - among them shrimp, andouille sausage and a cajun creole sauce. It was a definite winner accompanied by some spicy fries with bleu cheese sauce. Next up we tried the Burger of the Month. It was called the Vienna. It is topped with one of my favorite things ever - bacon jam! 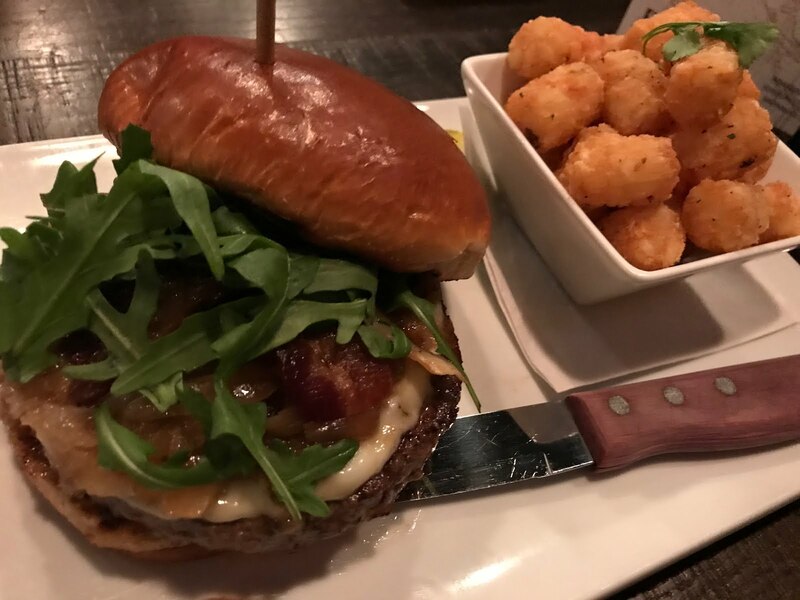 It's one of their prime burgers with Provolone, bacon jam, applewood bacon, fresh arugula and some amazing stout-braised onions on a brioche bun with a side of super crispy tots. It's only available until the end of January, so get in and try one. I promise it will be worth it! 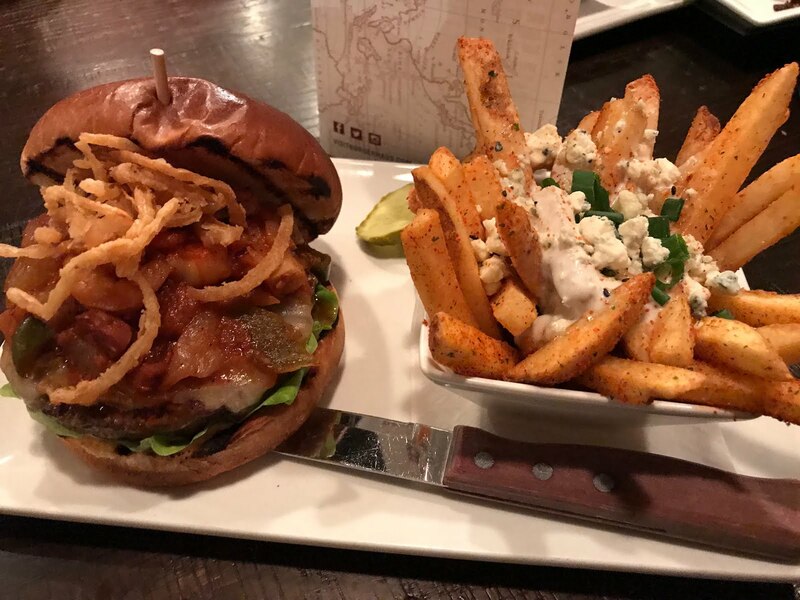 Each month you'll find a new creative burger and side on the menu. The Vienna replaced December's burger called "The Bedford Falls." If you haven't noticed yet, pretty much everything on their menu has the name of a place or is inspired by the food of that location or region. The vibe is casual and chill, but there are little bits of encouragement and inspiration to follow your adventurous side and get out there and see the world. Their tagline is "Never Stop Exploring." So, it's not just good food, but a cool overall experience that just might get your mind wandering and light a spark to help you fulfill that wanderlust. 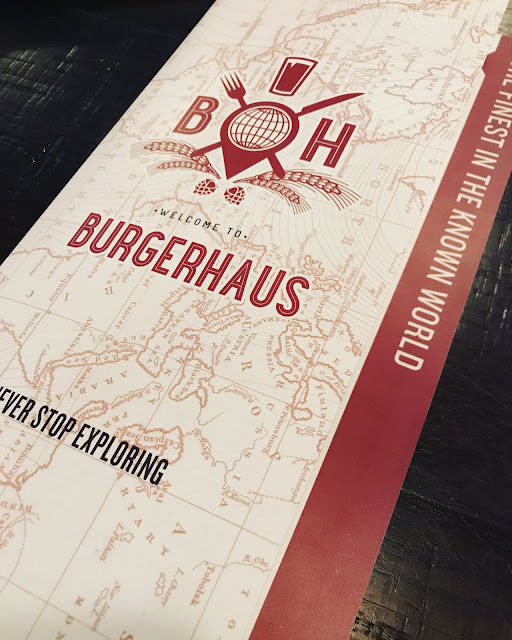 With a name like Burgerhaus, you expect the menu to focus on burgers - and really good ones. However, if someone in your group isn't a burger person, they'll have no problem finding something else to enjoy. 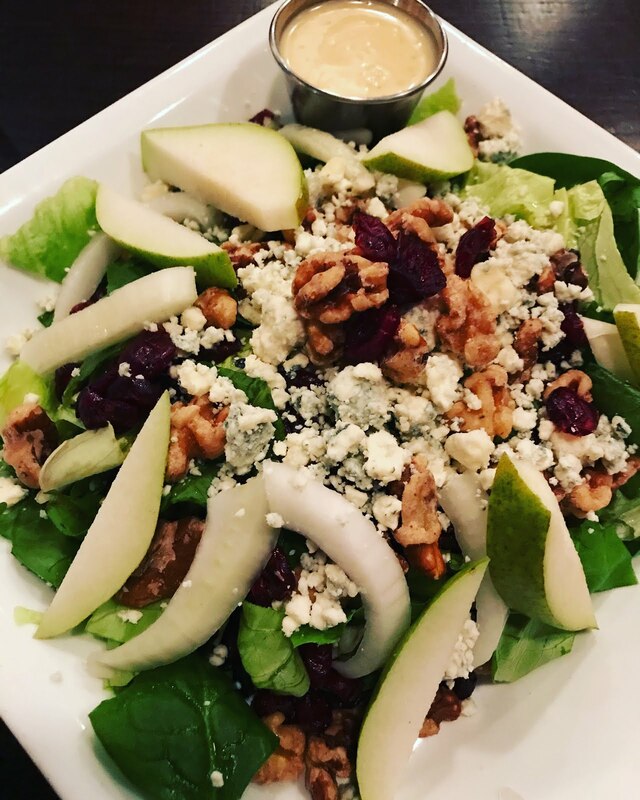 Besides the Valparaiso, they have a big list of gourmet salads and you can always add grilled chicken, mahi mahi or avocado to a salad. It's also definitely a great place to stop at for a drink and some sharables. 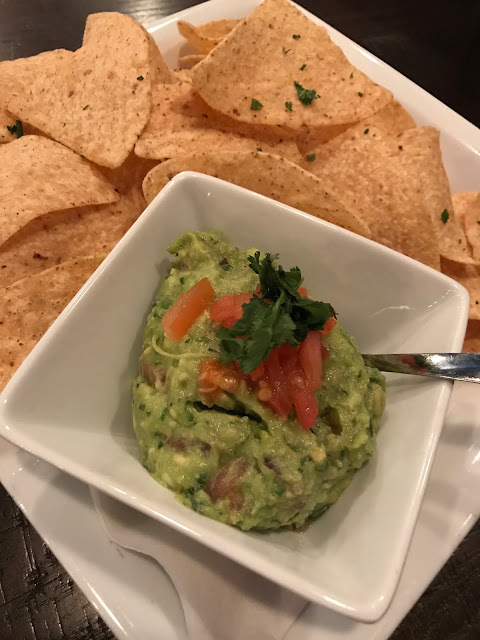 The list of appetizers has some great options - in addition to the pickle chips and guac, you'll find the Belfast Onion Rings, Osaka Seared Tuna, Castroville Parmesan Artichoke Dip, Cairo Hummus Platter and more. They also serve up some killer loaded fries with carne asada, guac, jalapeño sour cream, pico de gallo and cilantro. Other entrees include fish tacos, gourmet grilled cheese, chicken sandwich and fish and chips. Burger options number a dozen and you can substitute your beef patty with a black bean patty, ground turkey, grilled chicken breast or portobello mushroom cap. 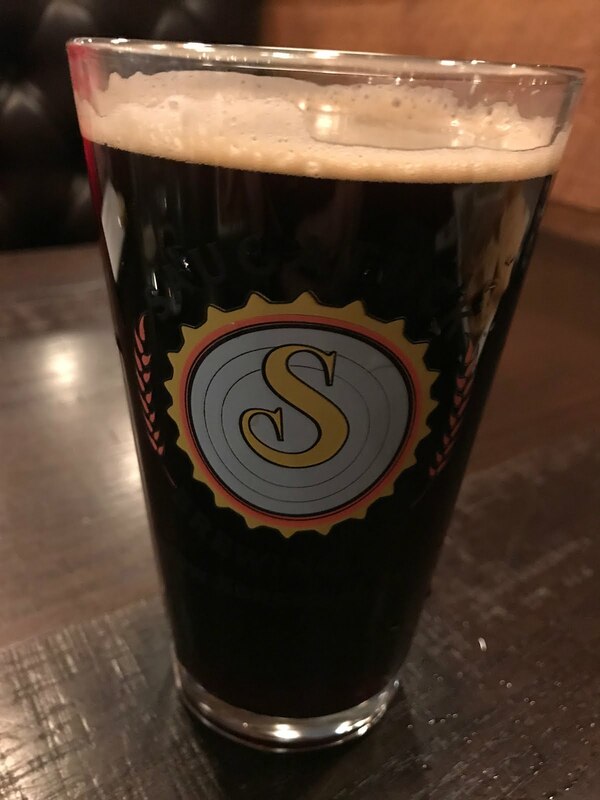 The Schererville spot is one of three (soon to be four) locations. You'll also find them in Valparaiso and Indy. The fourth location will be opening in Caramel, just outside Indianapolis. 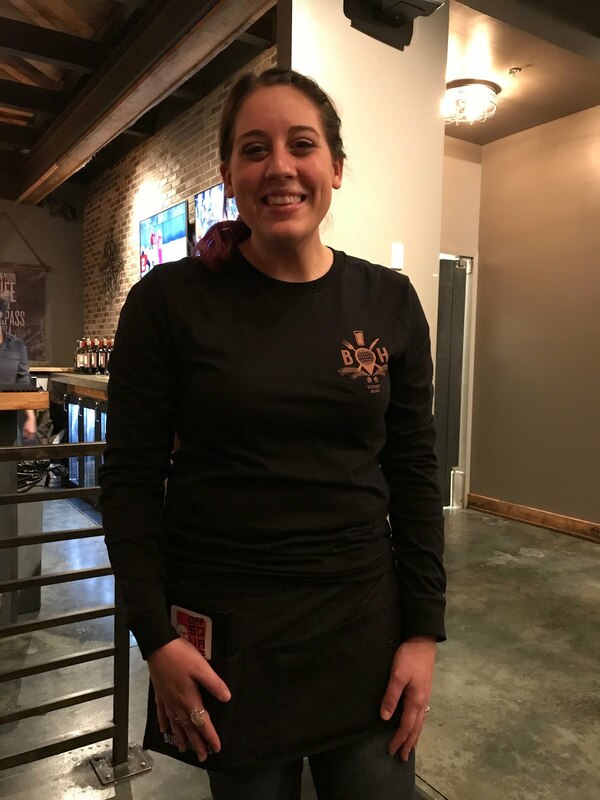 And as always, a good meal is always better with really friendly, attentive and knowledgeable server. Shout out to Ceara for the great craft beer convo and recommendations and info on their menu items.